Who is your very favoriete out of Mane 6? Which of my favoriete fanmade My Little pony songs do u like more? If Flurry hart-, hart grows up, do u think she would be the most powerful Alicorn? de keuze van de fan: Yes. Which costume do u like more? Which Starlight hairstyle do u prefer? How powerful is the Magic of Friendship? Since I love equestria girls, is there a muziek video about the mane seven doing a water ballet for the summer? The story starts off at AppleJack's farm, at cider season. AJ not allowing Derpy, Sword and Saten to have any cider. "No meer cider guys.. It has a risk of having alcohol." The blonde pony said. "Well 91% of all drunk based chaos are caused door u three." AppleJack replied. Derpy, Saten and Sword all cheer and high five. "Not what I meant. We need designated drivers." AppleJack said, and pulls out jar. "You know the drill.. Whoever gets the black egg." Saten Twist and Master Sword are at a mall, only to get a rude brush-off from the Santa who works there when he leaves for the night. As a result, Sword vows to kill Santa for blowing him off. And knowing Sword, he wasn't joking. Not all of the shorts that u will read are MLP related. Regardless, I hope u enjoy all four of them. appeldrank, applejack was at Sugarcube Corner, eating a lot of cupcakes. Rarity soon arrived, and she looked angry. Rarity: That's the twentieth koekje, cupcake u had today. Some ponies think you're being greedy. Applejack: I'm an important pony. Important ponies don't have to listen to little brats like you. Everyone is praticing the wedding. Princess Celestia: Perfect, girls. No need to rush. Then of course, Cadance will enter. Princess Celestia: I'll say a few words, and then we'll begin with the vows. Shining Armor, you'll get the ring from your best mare. Spike: [deep voice] Do you? [high voice] I do! Shining Armor: Hey... has anyone seen Twilight? Twilight Sparkle (angrily): I'm here! I'm not gonna stand volgende to her! And neither should you! The main six have a picnic. Saten invited as despite not always getting along with them, he's ther friend. Espically to AppleJack, his ex girlfriend but still friend. And somewhat of a brother/sister relationship to Twilight. Though not as much as he later has with Starlight Glimmer. Saten and Sword arrive in Saten's hometown Fillydefia. door stagecoach. Saten: Thanks for the drive Glaze. Master Sword: Rrraaaagh, camp counselors?! This is gonna be the lamest job ever! Saten Twist: Look, your the one saying we need a summer job.. Plus the money u owe me. Master Sword: I owe u money? Fluttershy (throws down gun and back to normal cute self): There.. They're dead.. We saved Christmas.. We get a wish.. Anything u guys wanna wishful? Saten [thinks]: Yeah.. There is. The lions' cave. Some magic revives the mother lion. Mother Lion: Wha - Oh my, what happened? Saten (watching with the girls) [relieved]: Oh, good. Trixie: Man.. This was fucked up Christmas.. The woodland critters continue decorating their boom and also the manger Trixie made them. Beavery: [looks around] Hey, look everyone! It's our old pal, Twisty. [the other critters turn and look, Saten flies over, Trixie behind him for backup. Woodpeckery: Oh boy, buddy. u came just in time! Saten (holding hammer): Shut up! We're not doing u anymore favors and I'm not letting u give birth to the Antichrist! [walks off] I came here to put a stop to all this! a comment was made to the poll: Who was cuter as a foal? a comment was made to the poll: What are u hoping to see in the final season? a comment was made to the poll: Hate MLP? a comment was made to the poll: Which of my favoriete fanmade My Little pony songs do u like more? 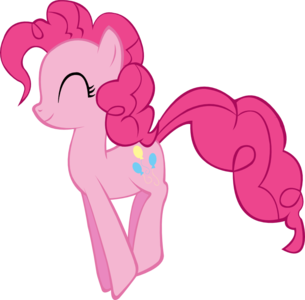 Who voiced Pinkie Pie in the Japanese dub? What Is Your Cutie Mark?